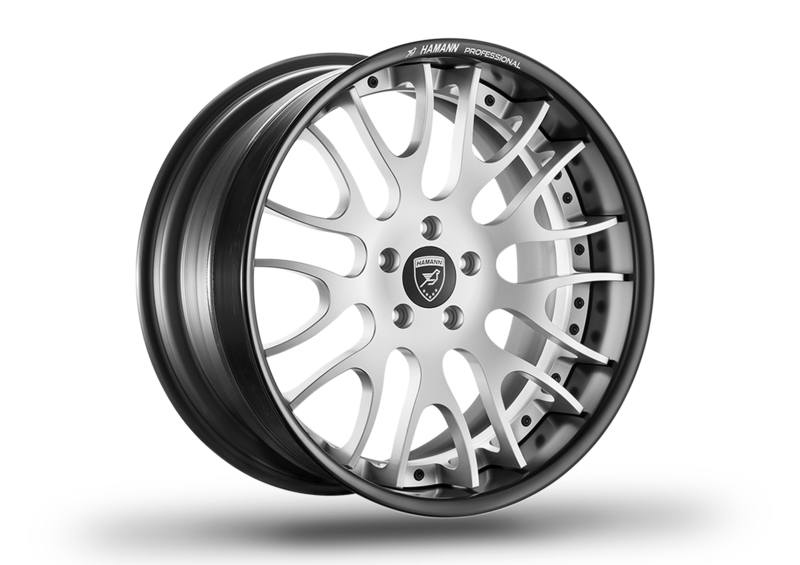 This elegant wheel distills the design language of Hamann’s Edition Race line. The results are a familiar yet somewhat refined rendition of the already stunning wheel. The 9 upsilon spoke design finished in matt silver offers an ultra robust protective finish that contrasts wonderfully against the satin haze of the black rim.